It also includes many useful additional features. -World scale / Document scalle view mode. View all sizes at once. 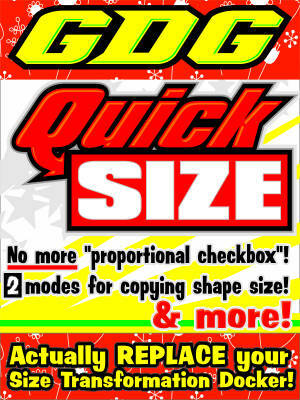 This macro is designed and tested in CorelDraw X5. See product compatibility chart to make sure it works in your version of CorelDraw. This macro tested only in english version of CorelDraw. It may of may not work in other language versions.